Well, after a day and a half in Ireland we’ve already had some great adventures. 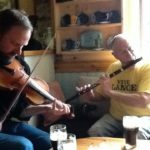 After arriving at Shannon and driving up to our rental near Doolin we picked up our dear friend Jack Lindberg in town and headed to McGann’s Pub and had a pint and a meal and listened to a fine banjo player with a few friends. 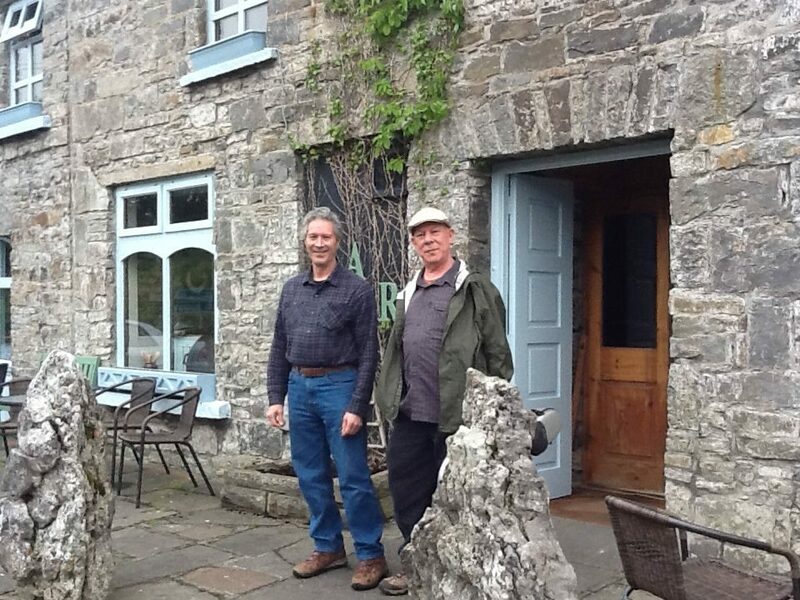 Next day we drove into Ennistymon and thence to meet a new friend named Dave Levine an ex pat who is a fine flute and concertina player. We met him at Kilshanny House pub and played some fine tunes and some fine Guinness poured by the proprietor Aidan. 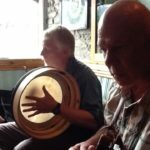 As we were leaving David came back in to tellus that there was Thursday night session in Miltown Malbay at Cleary’s Pub known by the locals as The Blondes. Being of brave heart we went in the door with our instruments and received a greeting from the proprietor Bridie of ” Oh Jesus , we have our own musicians”. Undaunted we ordered 5 pints and about that time the local musicians started coming in and graciously made room for us. 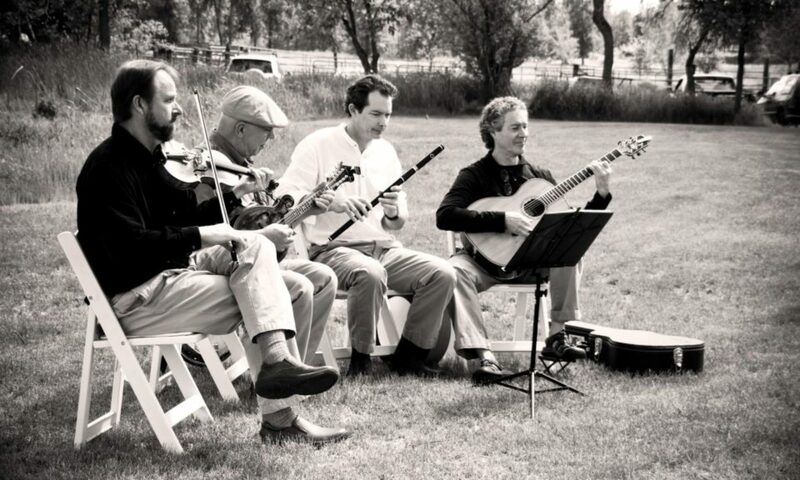 It turned out that Jack had met Jessie the banjo player some years back. Jack couldn’t remember at first but Jessie has a fine memory and eventually they established the connection. The pub is a classic local hang out, but unique in that there re older folks; women in their Sunday dresses and gents in their nice clothes lined up along the wall on built in benches with tiny tables, all there to listen AND join in. Several of them such as Con and his wife and another well known gent all sang songs old style, unaccompanied. Great stuff, great feeling and I’d say about 40 people all wedged into a space the size of an average house living room. The feeling regarding our being there felt a bit tight until John turned around and asked me if I’d sing a song. I nervously started Peggy Gordon and by the first verse half the room was singing along. I had goose bumps along with the sweat and the song was well received.